China’s largest dairy producer Yili Group has jumped 27 places to become the fourth most valuable food brand in the world, according to an annual ranking released on Jan 22 by the Brand Finance, a brand valuation consultancy in London. 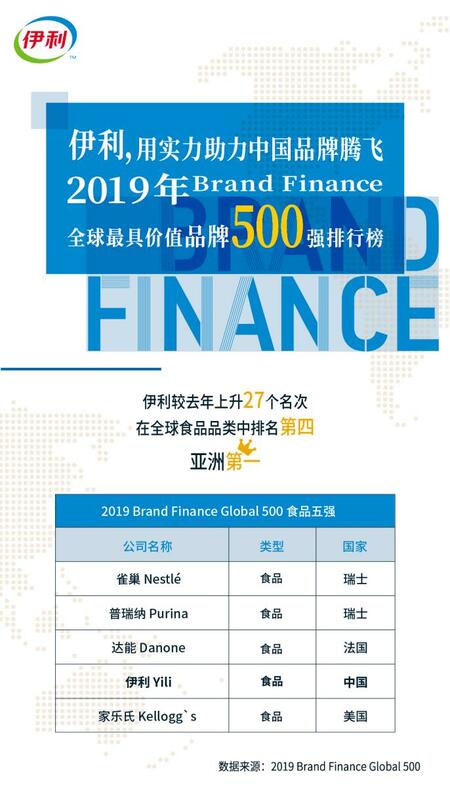 Followed by Nestle, Purina, and Danone, Yili is the only Chinese dairy brand breaking into the top five most valuable food brands, moving from 258th to 285th. It also defends it top position as the most valuable Chinese food brand in Asia. Amazon stays in the prime position as the world’s most valuable brand following 25 percent growth, with Apple and Google placed 2nd and 3rd. 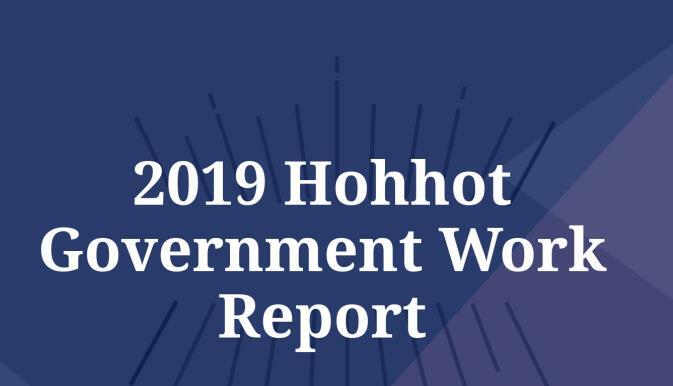 Brands from China climb up the ranking with a total of 77 brands including tech giants Huawei and Tencent making headway in the ranking. The most valuable Chinese brand, which also ranks as the world’s 8th, is Beijing-headquartered banking giant Industrial and Commercial Bank of China (ICBC). In the first nine months of 2018, Yili reported revenues of nearly 61.33 billion yuan ($8.80 billion), with a net profit of 5.06 billion yuan, making it the top earner in the Chinese dairy industry. The dairy producer’s strong performance comes from its years’ of efforts in improving its products and enhancing its global presence. In February 2014, Yili, along with Wageningen University, jointly established the Europe R&D Center. The center was rebranded as Europe Innovation Center on Sept 12 last year, aiming to build international partnerships to spur innovation. The group also continues to provide quality products in new markets. It released 11 new products in Jakarta, Indonesia, marking its entry into Southeast Asia. The company had previously revealed that it plans to make its products available to 2 billion consumers by 2020.